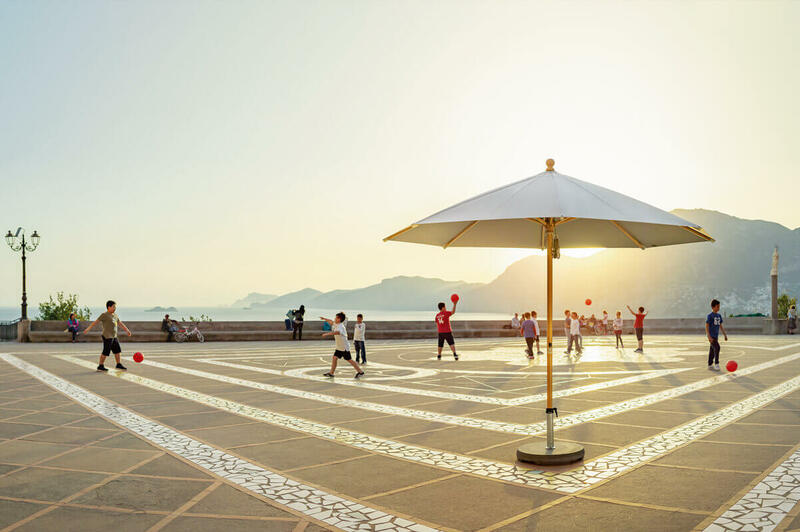 When we think of umbrellas – many of us naturally think of the small, hand-held item we carry around in the event of rain. 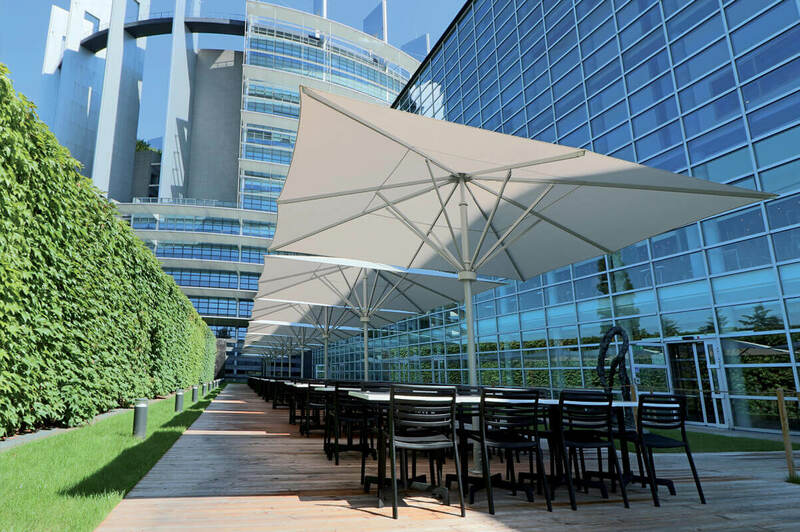 But, their much bigger cousin (what could be traditionally called the patio umbrella) can be just as an essential feature in your garden or outdoor business space; providing protection not only from the rain but also welcome shade from the sun. 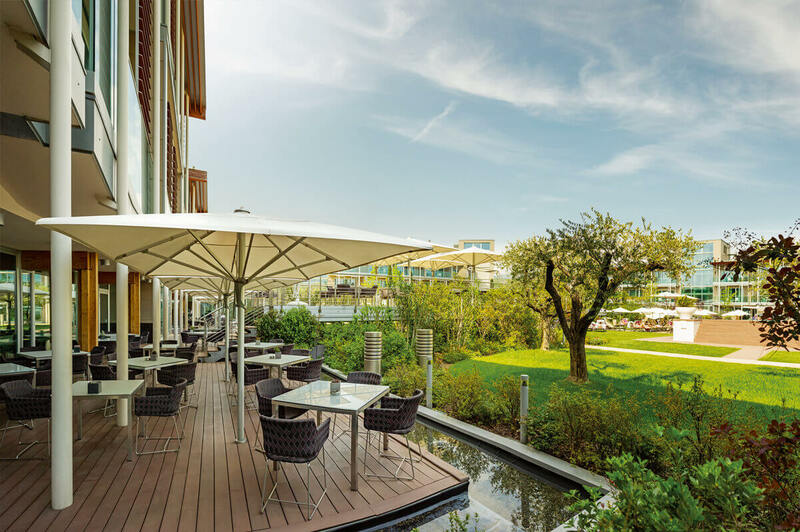 And just as there are many different styles of small umbrellas – so it is with patio umbrellas; with the more commercial types increasing in build quality offering additional automotive features. 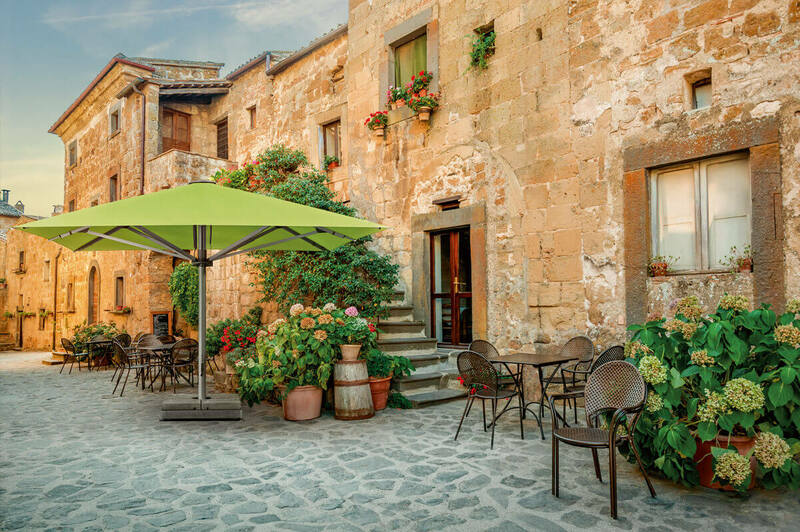 Whether you are a homeowner looking for patio umbrella to enhance the use of your garden or a commercial premises looking to offer increased weather protection to your customers for an outdoor terrace/seating area; it is essential to choose the right style of patio umbrella for your needs. A huge range of style, size, fabric and colour choices are available. 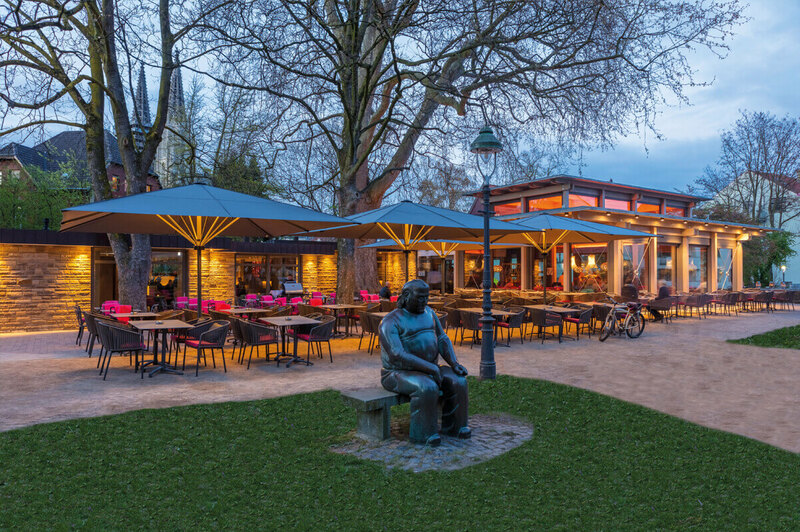 A range of accessories for the following umbrellas is also available including side sheet to create partial/fully enclosed areas. 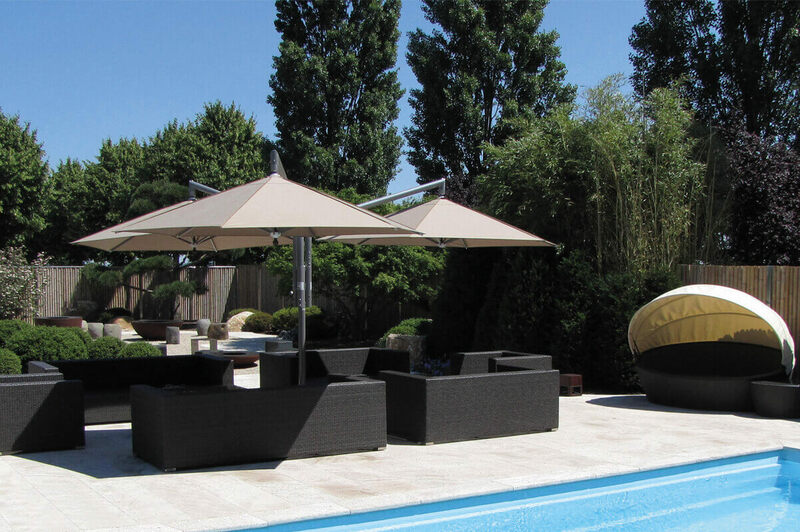 Umbrellas can be mixed and matched to find the ideal solution for your outdoor space! 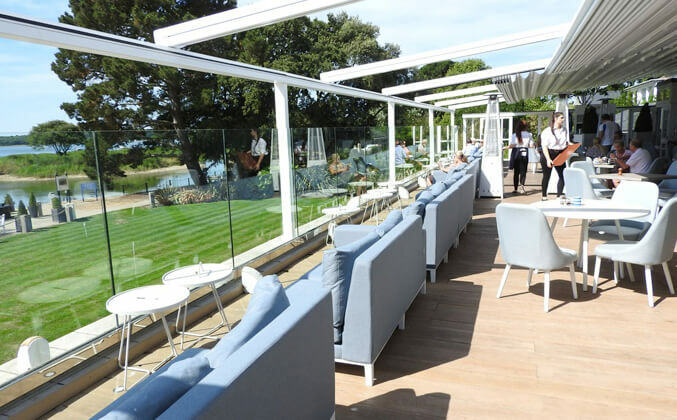 Ideal for a variety of uses in domestic gardens as well as stores, farm shops, catering, smoke areas, swimming pools, terraces and for social events/occasions. 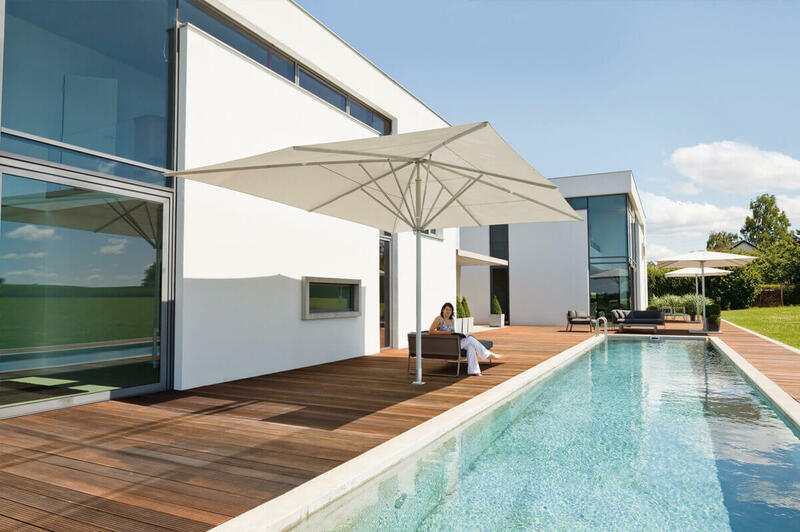 These are large, free-standing full umbrellas with stable frames incorporating up to 12 aluminium bars depending on the model. This is a re-enforced version of the RS with steel pipes offering enhanced durability and higher wind resistance. This is a one-sided umbrella ideal for small spaces. Two models of either 5 or 8 bars and size options up to 4m available. With moveable stand, concrete stand or ground socket. Sizes up to 5m available. 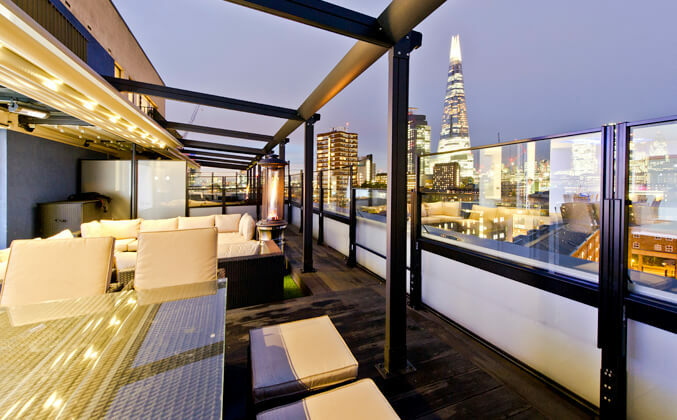 Offer Swiss quality shades for balcony, terrace, garden/meadow or hotel & restaurant. 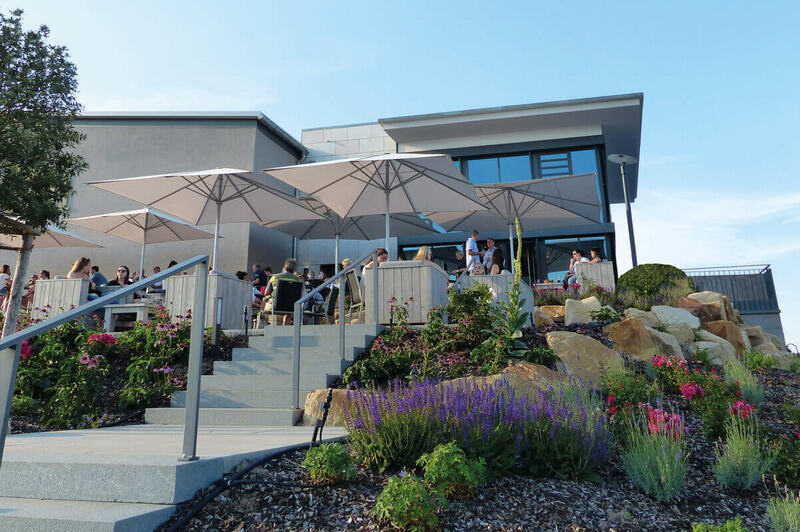 With a product range consisting of 27 different types of sunshades in 3 shapes of countless sizes and up to 90 shades of colour Swiss shades offer contemporary design from budget to luxury prices; offering UV and rain protection for the tightest to the largest space. 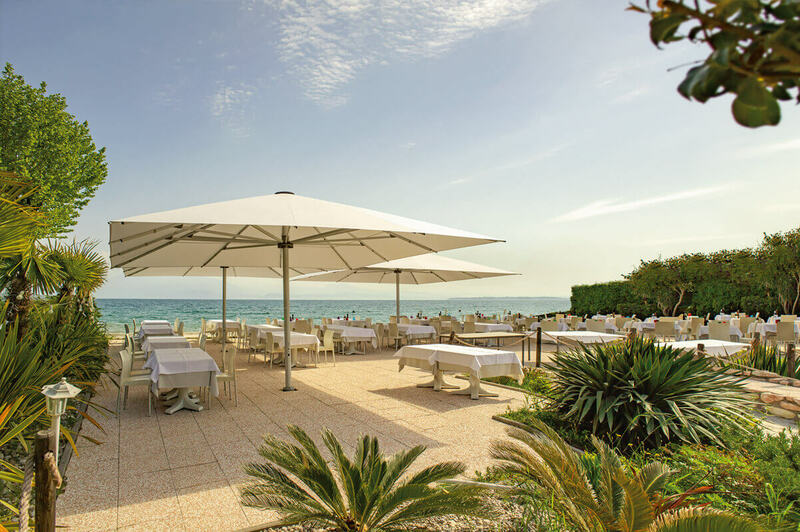 Offer electronically operated parasols with high UV protection that can be custom printed. 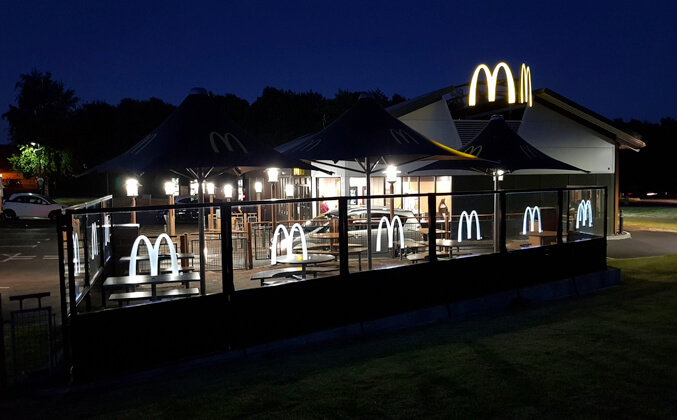 Offer a core range of aluminium, crank-lever operated coloured umbrellas for the smaller budget.